Edit, re-read, edit. That's many writers journey. Shari Schwarz kept at it until revision paid off. Take a look at her story and then hop over to Amazon to pre-order a copy of her new book! And enter the rafflecopter below for a query critique from Shari. In my fifth grade diary I have a list of goals written in the back. One is to write a book. And if you know anything about me, you know I love to dream...and I love to work toward my goals. I started writing my book, THE LEDGE (now renamed to TREASURE AT LURE LAKE), December 10, 2013 after a quick facebook chat with a good friend of mine, Jenda Nye, who is also a writer. She encouraged me to start writing and, bonus! we could be writing partners! The idea for my story was totally inspired by my boys and Gary Paulsen's HATCHET. But I had NO idea what I was getting myself into when I wrote 'The End' on my first draft in February 2014, or what would happen when I plugged into the amazing writing community on Twitter in March 2014. At that time, my parents were the first ones to give me valuable feedback and editing suggestions on my first draft, and I will always be so grateful for their support and guidance. Then, I sent out my first queries to literary agents in March 2014. Literally a year too early, but that's what the learning process is all about...making lots of mistakes and learning from them. I'm thankful for each mistake along the way because they all have been a part of the path I'm on to becoming a better writer and story teller. I entered TREASURE AT LURE LAKE in various online contests like #NestPitch, #JustPitchIt, #PitMad, #PitchSlam, #PitchMas, Operation Awesome, #AgentMatch, #SecretShop, Sub it Club pitch party (and those are just the ones I received requests from agents on) and queried widely over the next six months. Early on in the query process I received two "R&R" (revise and resubmit) requests--one from an editor and one from an agent. While neither of them panned out in the end, they offered sound and generous advice that helped me shape the early drafts of TREASURE AT LURE LAKE. One side of wisdom might say it's time to throw in the towel, but this is a hard business to break into, so I kept plugging away. I had so many people encourage me to press on, not give up and try again! In December 2014, after a couple of close calls with agents, I nearly gave up on TREASURE AT LURE LAKE. I had also finished writing the first draft of a new book and started on another. Discouraged and heartbroken, I went for a long hike where I stomped and cried and yelled at God. Why is this so hard? So frustrating? I hated getting my hopes up over and over again each time an agent seemed interested only to be let down and disappointed when they said no. So, I decided to let go and self-publish. By that time, I knew there were problems with my book, but I just couldn't give up on Jack and Bryce (the boys in the story). I felt free and excited and a bit overwhelmed at the prospect of self-publication! But then, in January 2015, an amazing online friend and critique partner, Sarah Floyd, told me not to give up and took a once over of the first few chapters of my manuscript. With her feedback, I was inspired to revise again and send out a small batch of queries. Full manuscript requests started to come in. I sent out more queries. More fulls were requested. Lots of waiting ensued! So, back to the revision board...again and again. In March, one of my original critique partners, Sally Hughes Doherty, read through TREASURE AT LURE LAKE and gave me a thorough evaluation of my book which shed bright light on some problem areas I still had. With her brilliant advice, I revised again. A couple of contests and a few more full requests later, I felt like I was on the right track. By this time, I wasn't as prone to discouragement; my skin had grown thick. Plus, I had started reading manuscripts for a literary agent and could now see firsthand the numerous ways in which a manuscript just doesn't cut it even if it is good writing or an amazing story. The idea of self-publishing became more and more of a possibility to me, and I started to research it. Then one day, I saw an #MSWL call for submissions by an editor, Ashley Gephart, at Cedar Fort Publishing and decided to send TREASURE AT LURE LAKE to her on May 11th, 2015. By the end of May, I was completely shocked to receive an email saying they had accepted my story for publication! I literally could not believe it at first. I think I read that email ten times before it sunk in that it was real--not spam or a joke or someone who was going to change their mind a few days later. After researching Cedar Fort, asking a million questions, talking to one of their authors and going through the contract, I'm thoroughly blessed and honored to say that I signed with Cedar Fort's general release fiction. 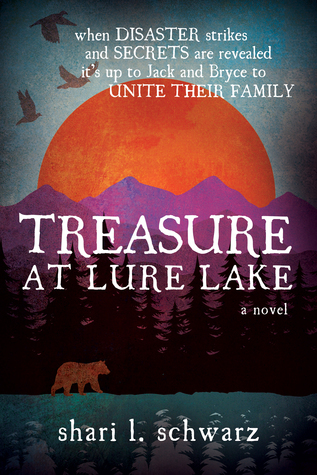 TREASURE AT LURE LAKE is set for release on April 12, 2016. Twelve-year-old Bryce’s best-laid plans for a backpacking trip with his grandpa seem about to fall through all because his big brother, Jack, is threatening to boycott the trip. But when Bryce stumbles upon a secret treasure map in his grandpa's barn loft, he doesn't mean to steal it or unearth a painful family secret that will explain the root of the brothers’ conflict. Bryce is determined to find the treasure even if it means lying to his grandpa. As Bryce, Jack, and Grandpa hike to a remote cabin in the Rocky Mountains, sibling rivalry clouds the brothers' judgment, and all Bryce's plans for an epic adventure go downriver. The boys must work together to survive the dangers of the wilderness, and each other, or the treasure and their family's secret may never see the light of day. Shari Schwarz lives in Ft. Collins, Colorado near the Rocky Mountains with her husband and their four boys. TREASURE AT LURE LAKE (Cedar Fort Publishing, April 12, 2016) is her debut which reflects her love for a good survival adventure story. 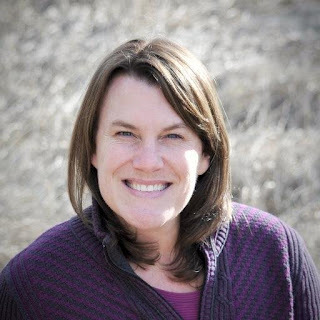 When she’s not reading or writing, Shari can be found freelance editing, weight-lifting, gardening or watching her boys play football, basketball, cup-stacking, or wrestling. She frequently dreams of exploring Oregon Coast beaches or plotting out her next children’s book. What a heartwarming story of your journey! It's very motivating for others and I hope you fully enjoy and make up for all the misery you had been through :) looking forward to reading about Jack and Bryce.